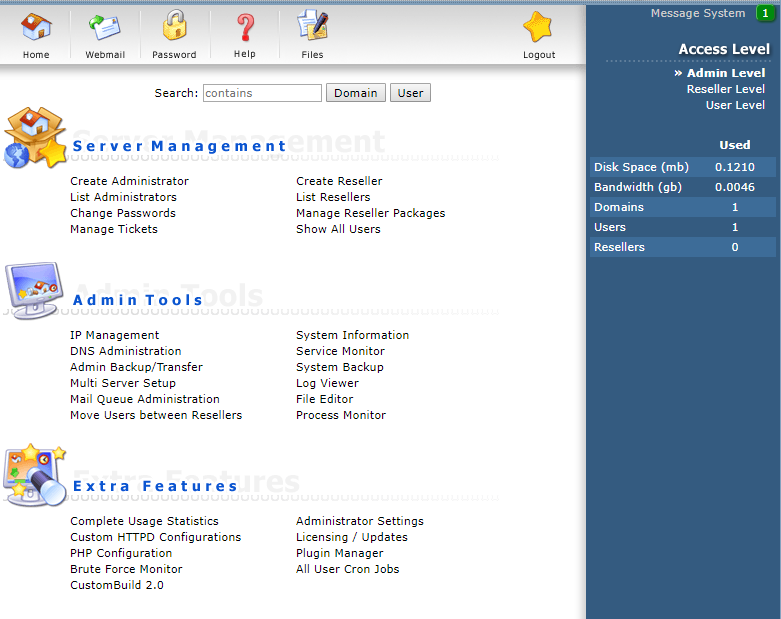 DirectAdmin is a graphic web-based hosting control panel which makes it easier to manage websites on your VPS. When you log in as admin, you are greeted by the screen below. You may notice that there are three different options at the top right under 'Access Level': Admin Level, Reseller Level and User Level. Admin Level: An administrator has access to all three levels. User Level: A user only has access to the User Level. An overview of the features that are offered at these different levels can be found here or view the demo. We also offer DirectAdmin Lifetime licenses. In this article we list the information we require to generate a license for you.